Today Mindy Kaling, AKA Kelly Kapoor, posted the best Christmas gift ever; a list of all The Office Christmas episodes. Not only is The Office one of my favorite television shows of all time, but the Christmas episodes are comedy GOLD. Here are a few of my favorite Michael Scott quotes from these episodes. 1. "This is Christmas spirit, as in spirits, booze." At this point Michael just wants his employees to start having a good time, so he brings out the big guns (booze). 2. 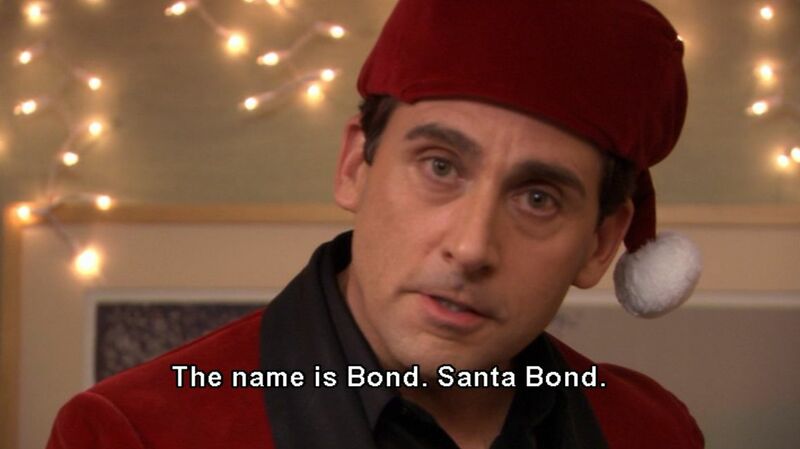 "The name is Bond… Santa Bond. I'll have an eggnog, shaken, not stirred." A truly classic line, The Office style. 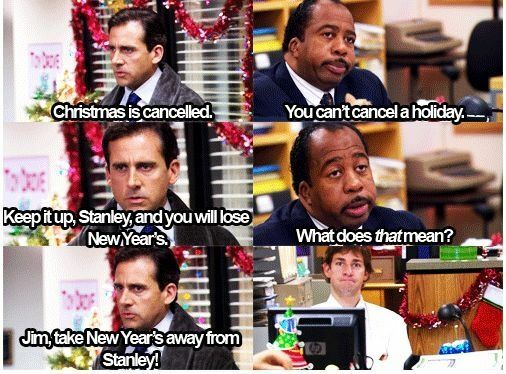 Michael- “Keep it up Stanley and you'll lose New Year's." Cause Christmas truly is awesome. Have fun watching The Office and Merry Christmas!